With support from a research grant from the Academy of Architecture for Health Foundation, a West Virginia University researcher is leading a study that will help address the functional complexity of large hospitals. 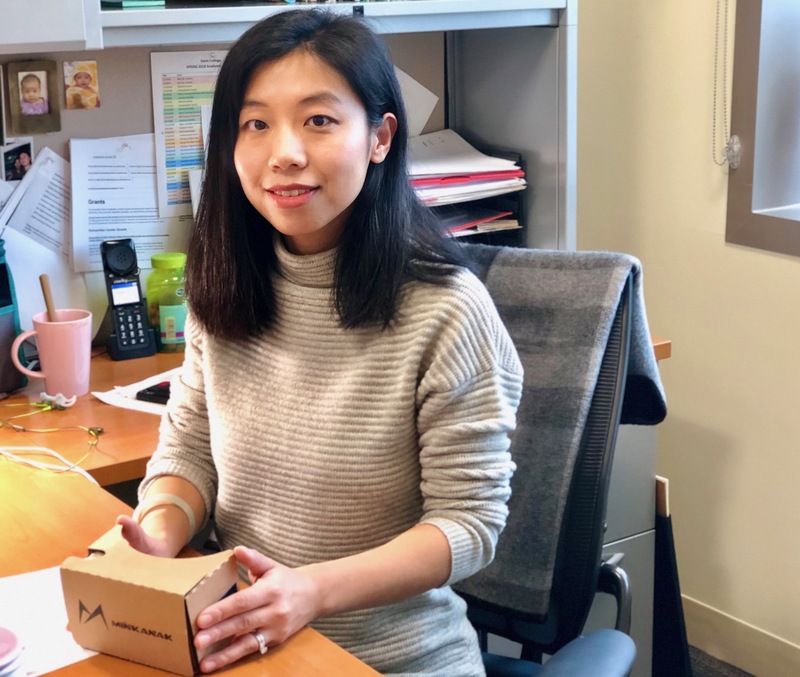 Shan Jiang, assistant professor of landscape architecture in the School of Design and Community Development, and her research team will utilize immersive virtual reality technologies to conduct a study focused primarily on hospital wayfinding. Jiang will collaborate with two consultants from Clemson University – Davis Allison, professor and director, and Andrew Duchowski, professor – as they examine the design of hospital circulation spaces with transparent connections and views in relation to individuals’ spatial orientation and wayfinding performances. Additionally, they will explore the individual’s environmental experience of visual engagement with nature in hospital circulation spaces, as well as the use of Immersive Virtual Environment technologies as complementary methods and tools in healthcare design research. The research study participants will complete various wayfinding tasks in fully immersive virtual hospital environments. Since few studies have been conducted and very little data collected in this particular area, the benefits of Jiang’s study will extend beyond the scope of the project itself. “While results from the study will be translated to immediate design recommendations intended to help guide the layout of various spaces in complex hospital designs, our larger goal is to help fill a significant knowledge gap,” Jiang said. According to the Academy of Architecture for Health Foundation, Jiang and her team’s research proposal, titled “Visual Engagement with Nature and Spatial Cognition: A Study of Hospital Circulation Spaces through Immersive Virtual Environment Technology,” was selected among multiple high-quality proposals submitted in the current awarding cycle. The first portion of the grant funding has been initiated; the final portion will be awarded after the submission of a final report in January 2019.